To The Minute! – He Said What?! Aaron is very precise. Here is a conversation we had this morning when I asked him, “Aaron, what time did you go to sleep last night?” He answered, “Well, I started reading at 10:20 and then I leaned my head back against the wall and went to sleep. I woke up at 11:24!” He has a running list where he keeps a record of the time he turns his light off and the time he wakes up. 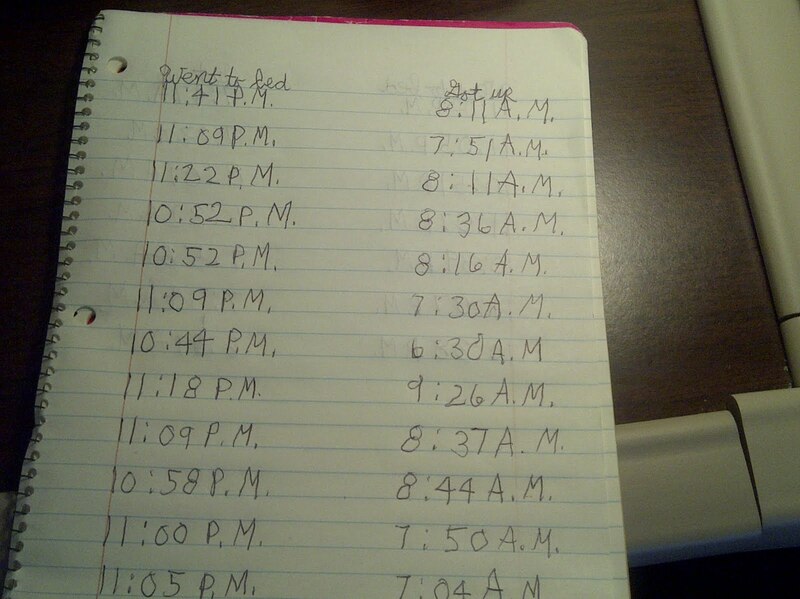 He writes those times down every single day without fail! If he says he went to sleep at 11:03 and I say, “So you went to sleep around 11:00?”, he responds, “No! I went to sleep at 11:03!” Aaron’s world is orderly and precise – at least in his head and on his lists. Don’t look at the piles on top of his bookcase! I bet each of those piles is orderly in Aaron's mind….can he find anything quickly?